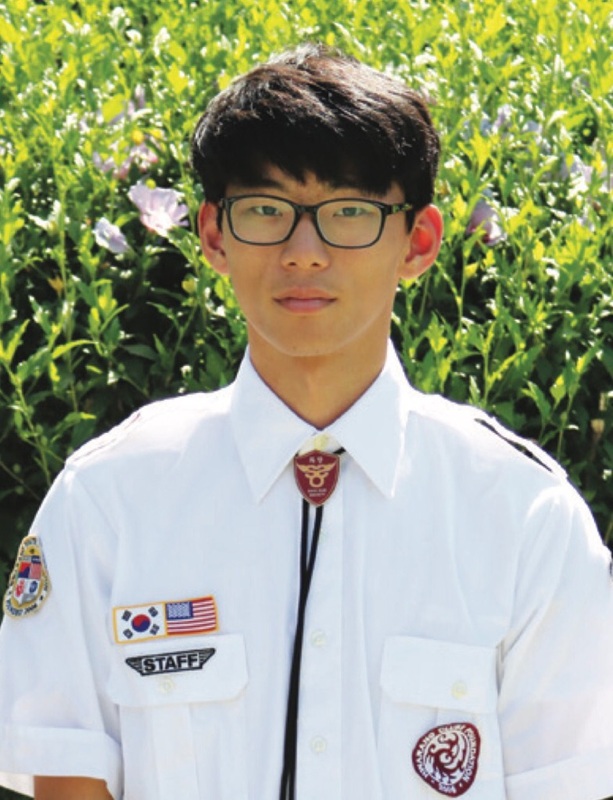 My name is Daniel Kim and it is my honor and privilege to serve as the Summit Chairperson and Chief Executive Officer of the Hwarang Youth Foundation. It is my personal joy to lead the members of Hwarang and collectively grow into successful leaders of the future. In the year 552, two young people took an oath on June 16th that they would remain loyal to their nation, to their family, and to their fellow peers and comrades. Since that fateful day, the elite group known as the Hwarang blossomed into what they considered the “Flower of Youth”. These elite group of young warriors were trained to stay loyal to their nation and to fight for what it stood for, to always show love and respect to their family, to exhibit trust and sincerity among their friends, to never back down from what they believe in their heart to be right, and to carefully make wise choices that benefit those around them as they live their lives. As the leader of Hwarang today, these values are exactly what I hope for in each and every one of Hwarang’s members. It is my goal that the Hwarang Youth Foundation can show all of these values by the volunteer work we do in the community, by the way we interact with the rest of the world, and by the way we live our own lives. Although Hwarang is an expanding organization that sees no end to the amount we can grow, focusing on the individual member is crucial, because many times it is the difference that one individual makes that can potentially change the world as we know it. Whatever I accomplish within this organization, I promise that all of it will be done to the best of my ability and that this organization can help foster individuals that will lead this world in the future. Hello! 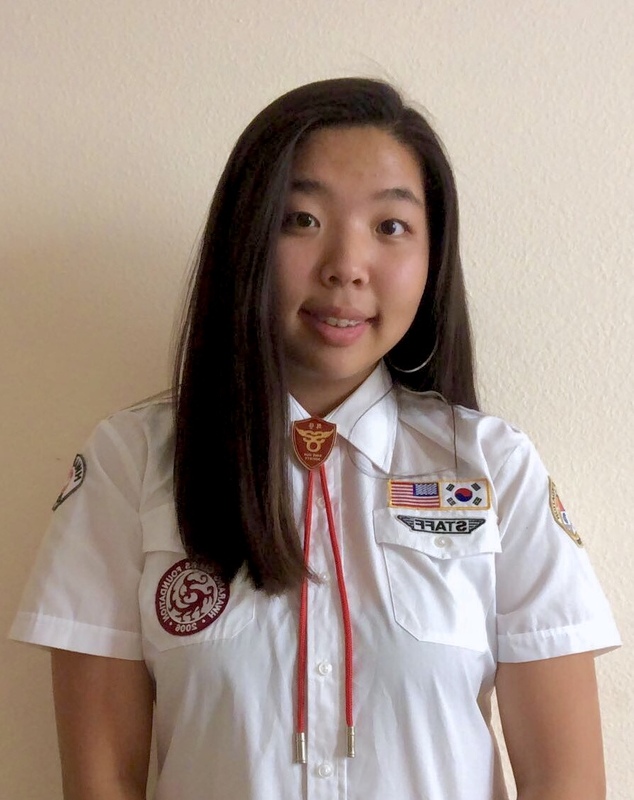 My name is Stephanie Yeo, and I am the International President of the Hwarang Youth Foundation. Currently a senior in high school, the Hwarang Youth Foundation has shaped me into who I am today. The Hwarang Youth Foundation is a worldwide volunteer service organization established with a goal to resolve and provide a lasting impact towards profound issues within global communities. Ever since I joined this organization, I was fixated on helping the community nearest to me, but being a member for nearly seven years, I recognized that growing internationally could lead to bigger and better results. A majority of the members of Hwarang Youth Foundation start off with a mindset of bettering their resume for college admissions. However, as they experience the opportunities within this foundation, each member has grown drastically, moving one step closer to becoming an influential leader. Watching these changes within each individual and continuously encouraging them to keep pushing forward, I decided to take on this new position of globally expanding the Hwarang Youth Foundation under a new international organization called Hwarang International Association. With the help and knowledge gained by the Hwarang Youth Foundation, I wish to expand Hwarang in order to make changes, big or small, because every change matters. I believe that there will always be people who suffer, people who are silenced, and people who are in need. To those we help, our actions are life-changing. In addition, I strive to promote compassion and excellence in the members of our organization as they start their path as intelligent and experienced leaders with a mission to alter increasing amounts of lives for the betterment of society. In a larger context, the world can not be changed so easily, but my goal is to make changes little by little because even the smallest changes make a big difference.